High transmission loss is the composite material's ability to impede the passage of noise transmitted through the material. High noise reduction coefficients are the composite material’s ability to absorb airborne sound energy with minimal reflections. Damping is the composite material's ability to attenuate structure-borne vibration on metals and other substrates thereby reducing reradiated noise. For full details see section 3 below. 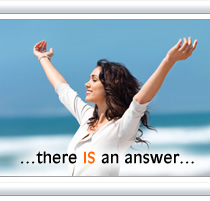 * Details of all Patents & Patents Pending are available upon request. Acousti Products Ltd asserts Intellectual Ownership of all these products. A range of very low-flammability composite soundproofing materials suitable for various noise control applications inside electronic/electrical enclosures. The product is flexible, dark grey/black, and is comprised of either two or more discreet layers. Thicknesses up to 4mm are dual-layer, and between 4mm up to 13mm are triple-layered. The product is supplied as cut parts or as raw sheets, with self-adhesive on one side suitable for adhesion to a wide range of substrate types (sheet steel, powder coated/painted metal, glass, laminate, MDF and plastics etc.). The product offers superior acoustic performance (high sound transmission loss and good absorption at lower frequencies) when compared to typical dual or homogenous thin-layer soundproofing materials (see Acoustic Performance). The materials are not dust generating, and do not chip or crumble upon light abrasion. Unlike other composites, AcoustiML materials are manufactured without the use of laminating adhesives. Layers of acoustic foam and acoustic barrier are physically bonded together during manufacture. The resulting bond ensures against delamination. The individual components of the composite are certified and UL listed for low flammability. The finished composites have also been tested to UL94 (vertical burning test), and meet class V0-V2 (variable with thickness - see Flammability). This satisfies BS EN 60950-1:2002 'Information Technology Equipment - Safety' section 4.7 with respect to resistance to fire for materials inside fire enclosures. **Maximum Sheet Width is the maximum usable width of a raw sheet of material. There is no limit on the max. usable sheet length (except that practicably limited by handling & shipping). RoHS Statement: None of the materials listed in the RoHS Directive (EU Directive 2002/95/EC) have been used in the formulation of these products. Figure 1: Calculations showing the affect on STL of multi-layer materials adhered to a steel panel. 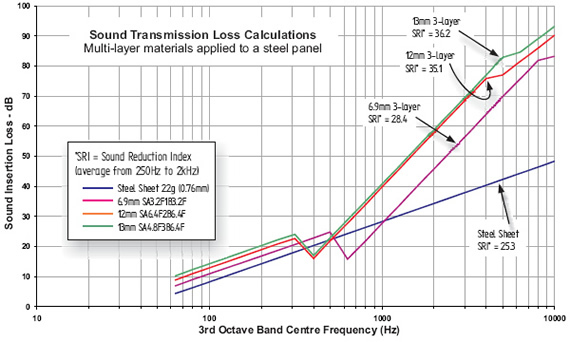 12mm & 13mm materials adhered to a steel plate are shown to cause a significant increase in STL above 500Hz, and 6.9mm materials similarly above 1kHz. 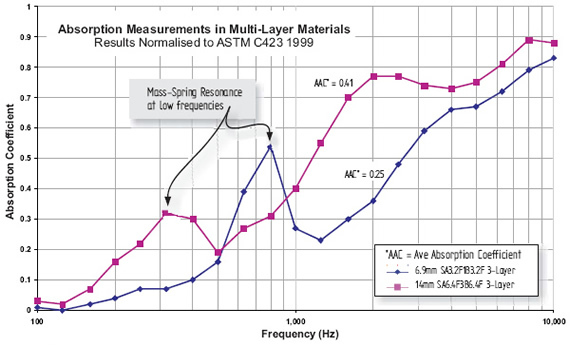 Figure 2: Measurements of acoustic absorption show an improved low-frequency performance (below 1kHz) in multi-layer materials. These observations may be the result of mass-spring resonance occurring in the decoupled barrier layer within the materials. 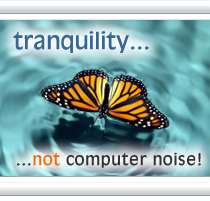 Sound energy from electronic equipment is typically broadband, and ranges from 100Hz to 10kHz. 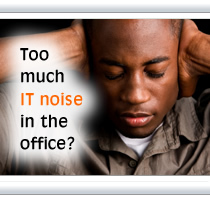 In order to effectively treat unwanted noise inside electronic enclosures using soundproofing materials, the materials need both to enhance the sound transmission loss of the enclosure itself, and offer effective absorption of airborne sound reverberating inside the enclosure prior to escape. Acousti ML composites effectively both impede and attenuate high and low frequencies, as a result of the unique multi-layered construction of the materials. The transmission loss of sound energy is enhanced by the dense acoustic barrier layer, and mid- and higher-range frequencies (above 1KHz) are effectively attenuated by acoustic foam layers. In addition, the materials also assist vibration damping of the enclosure side walls and structure, which further helps to reduce reradiated noise. The dense acoustic barrier layer in 3-layer materials is 'suspended' within a foam layer, forming a multi-layer system. This construction is more acoustically effective than using a barrier mass layer directly against the substrate (without a spacer), and results in higher sound transmission loss (STL) - see Figure 1. The double-wall system is analogous to that of double-glazing. In addition, the decoupled mass layer also enhances low frequency absorption performance. Figure 2 shows the results from a random incidence reverberation room test normalised to ASTM C423 1999 on two materials (both 3-layer). The same effects have also be observed in smaller-scale Impedance Tube absorption tests (such as ASTM C 384-98).